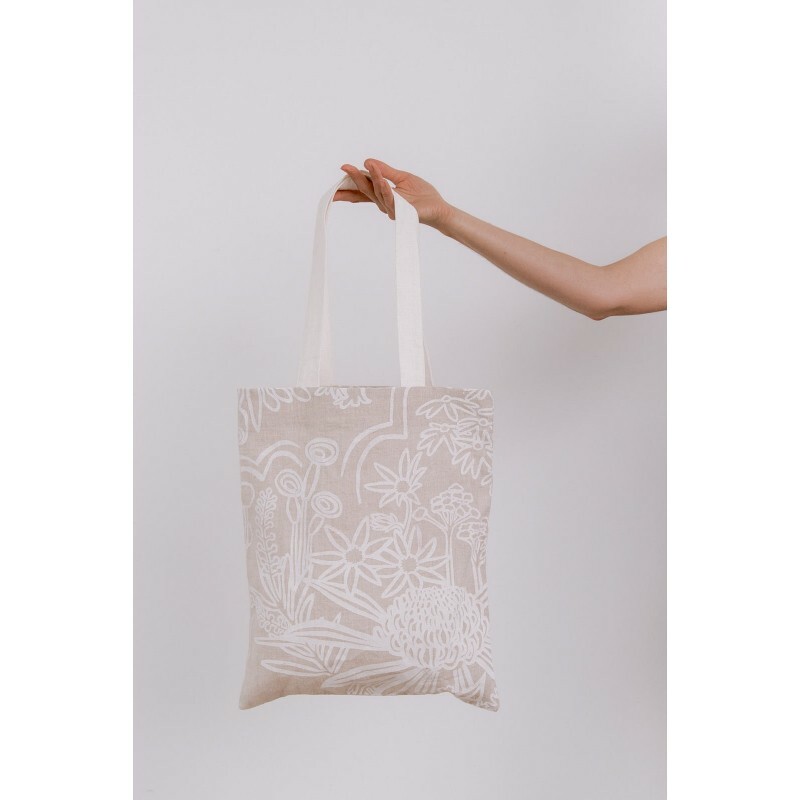 This elegant every day tote is made from a neutral mid-weight pure linen and printed in the subtle outline of Flora. Twin handles are made from a heavier weight white linen. Simple and chic. 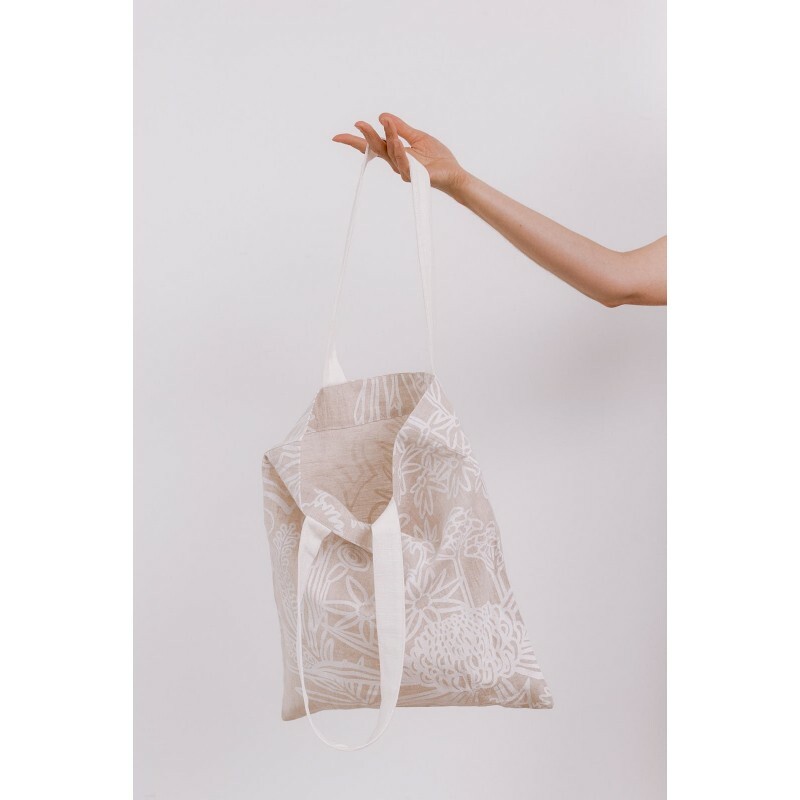 Farn is an Australian Womenswear label that is designed, printed and made in Collingwood, Victoria. 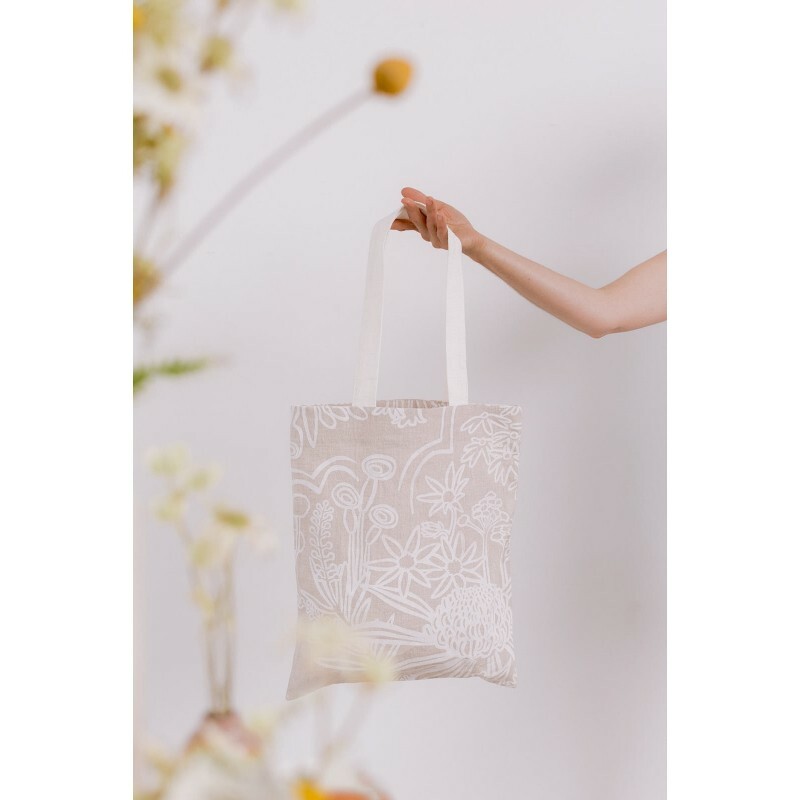 Founded by fashion buyer turned textile designer, Amanda Farncomb, who is also the recipient of the 2018 Frankie Good Stuff award. Amanda launched her first range, Flora, at Finders Keepers markets in July 2018. Amanda's creative practice is informed by her natural environment. Her screen printed designs often portray her bold perspective of traditional Australian animals and flora. She is drawn to the hand made nature of screen printing, where each colour is carefully mixed by eye, hand pulled through silk screens layer by layer until the final print is revealed - pure magic! All ranges now and forever, are designed, printed and made in Melbourne. Shipping: Please allow 3-4 days for this item to be created prior to shipping. This item will be shipped directly from Farn in Melbourne. All fabric is screen printed by hand so the print placement and depth of colour will vary from item to item....which also means the print on your future garment will be completely unique! Sizing: 43cms high and 36cms wide. Shoulder strap length is 61cm. Care: Cold hand wash inside out. Do not bleach. Do not soak. Do not tumble dry. Warm iron, dry cleanable.